Hashtagging has become a standard practice across social media and is often a key driver for many digital campaigns these days. Let's face it, if you not using hashtags you could be losing money. But you could have the same issue if your hashtag game is overkill - simply put #unfollow. If you looking to get more out of your social media efforts or are guilty of being a #whore, follow our simple guidelines below and break the habit that may be doing more harm than good to your brand! Hashtags actually help make it easy for users to find topical information on social platforms. Searching on most social platforms yields rather poor results, but if you tap into the correct hashtag you are more likely to get all the latest info on your desired topic. Simply put, hashtags are the quickest most efficient way to find and follow discussions about people, topics, events, brands and more! 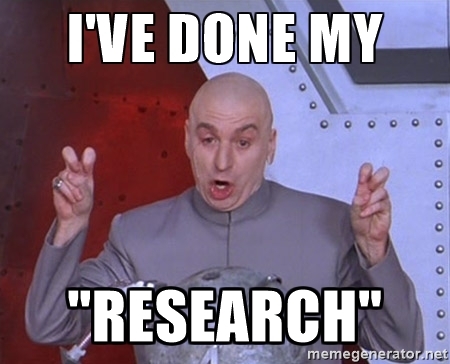 Also, brands' using trending hashtags increase their chances of being discovered! To help you use these babies with more tact, we compiled a list of do's and don’ts for hashtag use. Images with hashtags boost views and promote additional engagement. Hashtags are meant to add to your post and not to be the only content it is comprised of. Learn from saltbae and add a little extra to that post! Group all your hashtags at the end of a post making it easier to read. Simplify your posts. If you have a hard time reading them, chances are everyone else will share that sentiment. If the tag relates to your content (and even better to your products/industry) it’s a quick win to gaining a few extra followers. If you can’t find a relatable way to use the trending tag, then don’t use it. Just because it’s trending does not make it a compulsory component of your social media plan. These are an awesome way to spread the word about your campaign. You can also set up alerts and get notified each time your hashtag is used - this will make great post campaign data. Nike's #justdoit hashtag is synonymous with the brand and is used by users as a motivator for every aspect of life. 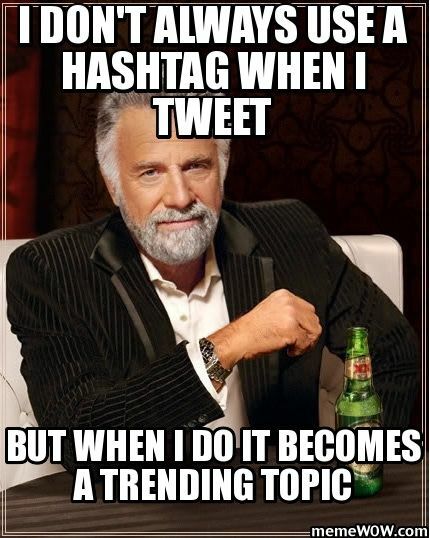 While trending hashtags are great for tactical use they are not that fitting for your own campaigns or competitions. If you assigning a hashtag to a campaign, make sure it is original. After all, originality is everything darling! 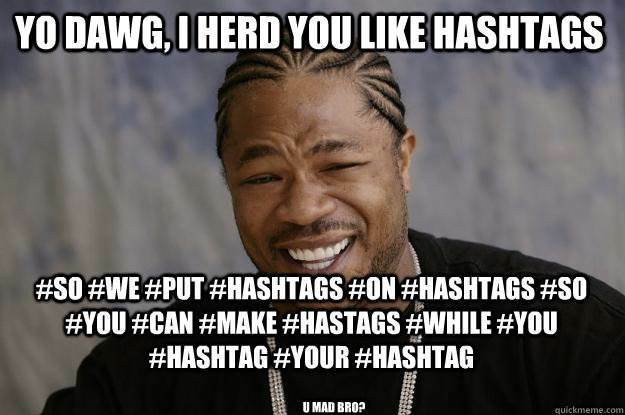 Hashtags used less frequently will not be as useful to your brand as the more popular ones. If you are referencing another brand or topic make sure you are using the correct tag, never presume or guess the hashtag (unless that's the game you playing)! Use hashtag here to categorise. Tweets with hashtags get twice as much engagement than those without. 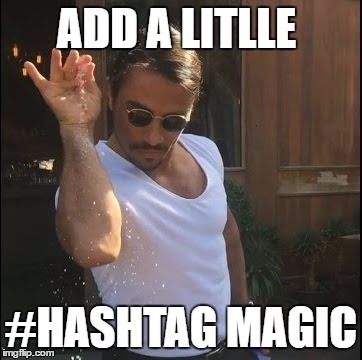 Limit hashtags to 1 or 2 per posts. These posts have a 21% higher engagement rate as those using 3+ hashtags. Instagram: Hashtags on this platform has the opposite effect. Industry experts say 11+ hashtags per post on Instagram yield the most interactions. posts on this platform with no hashtags outperform those with hashtags. Don't waste your time here. Hashtags should be unique and simple to remember. Don't make your hashtag so broad that it's hard to track. Always check the meaning of your hashtag and test it on actual humans before investing in marketing. Incorporate trending hashtags when posting live at big events. Monitor the conversation around yours and trending hashtags. The best users insights are gained from active listening. Remember: Good #hashtags are memorable, unique and relevant to your posts! Still not convinced that these trendy tags can actually help the visibility of your business online or just want to know more about incorporating hashtags into your digital strategy? Comment below or simply contact us here.